Having valuable content on your website helps to endear your brand to potential customers. It turns casual visitors into loyal customers by providing value that can be trusted. But in order for your content to accomplish this goal, visitors have to find your website in the first place. Search engine optimization, or SEO, can help you attract these visitors. It involves optimizing your website to show up in search results so the right people can find it. 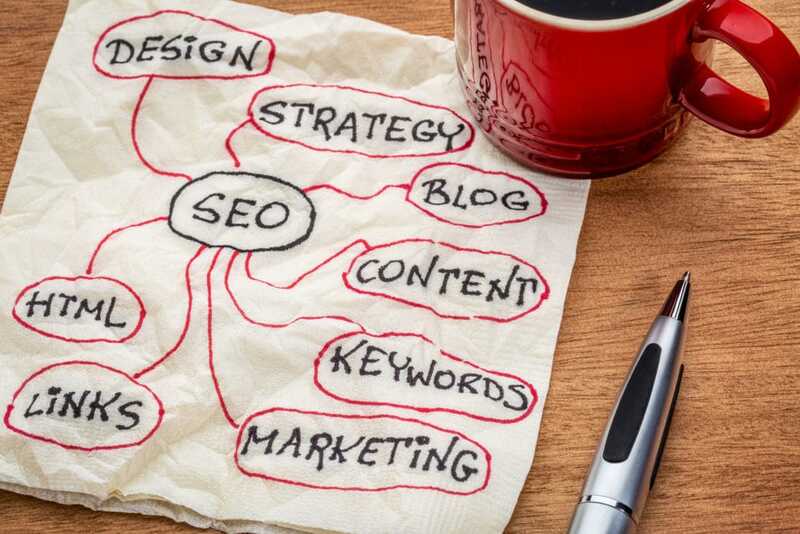 SEO comprises an entire subcategory within online marketing, but the tips and guidelines for successful SEO are constantly changing. 2018 saw several changes, and 2019 will likely see a lot of changes as well. Here is your guide to the changes happening in SEO and how you can use them to your advantage. There were several changes in SEO that occurred in 2018 and impacted online marketing. The first was the introduction of RankBrain. This is a machine learning system that sorts the search results that Google collects. It is due to RankBrain that a certain blog post shows up first in search results, followed by an article at #2, and so on. RankBrain resorts these results based on two factors: dwell time, which is how long people spend on a page after clicking on it, and click-through rate, which is how many people click on the page. Also new to the SEO scene was the featured snippet. Scoring the number one spot isn’t enough to guarantee success anymore - the featured snippet is stealing clicks from the number one search result. It basically answers the user’s question without making them click on anything. Once upon a time, Google used a spider to crawl web pages for specific keywords. So as long as you used enough of a keyword, you could get away with shorter posts that provided minimum value. That is no longer the case. 2018 saw the rise of longer blog posts and articles - 1,500-2,000 words performed the best. This is because while Google still tries to match queries with keywords, it is more focused on context and value. Mobile search has become increasingly popular. Most people now get their information via mobile devices. Google has begun responding to this change in search habits by introducing mobile-first indexing, which favors sites that are optimized for mobile devices. You could be doing everything else right, but if your site can’t accommodate mobile searches, you will lose out on valuable traffic - lots of it. RankBrain is expected to continue to sort and resort search results based on dwell time and click-through rate throughout 2019. Featured snippets are also in full swing and will continue to influence click-through rates. Long-form posts and articles will continue to perform well in 2019, though there are a few changes. 1,000-1,500 words may have done well in 2018, but new recommendations place the optimal word count at 2,000 words and above. Mobile-first indexing is still going strong and more important than ever. By adding LSI keywords, which are associated keywords for your topic, you can ensure that the mobile index picks up your content. And of course, make sure your website’s design is optimized for mobile devices. This means using responsive design, testing your site on mobile devices, and avoiding the use of hidden content. Video has become a popular way to search for information. In fact, more people are now turning to YouTube for information rather than a traditional search engine. In addition, Google search results pages normally include a few video results. Creating and optimizing content for YouTube will keep you at the top of everyone’s mind. You can also embed videos into blog posts, which increases your page’s dwell time and improves its standing on search engine results pages. The new innovation in SEO is voice-based search. With Alexa, Google Assistant, Siri, and many other device-based voice searches available on a variety of devices, optimizing your content for voice search is becoming increasingly important. Optimizing for search begins with making sure you are ranking on search results pages and appearing in featured snippets. Since most voice searches are based on a question, it helps if your content asks a question and provides the answer, since Google will be looking for both. The changes to SEO in 2019 have forced marketers and businesses to make changes of their own to keep up. Instead of playing catch up, it’s much better to stay ahead of changes. You can do that by staying informed of new activity in SEO, new updates, and breaking news. 51Blocks will help you stay on top of SEO news so you can act accordingly.